All Spoked Up (Aurora) is just off the Fox River Trail in Downtown Aurora. All Spoked Up offers expert service & repairs, hosts group rides, and is an authorized retailer for several of the best bike brands out there. Check them out the next time you cruise through town. 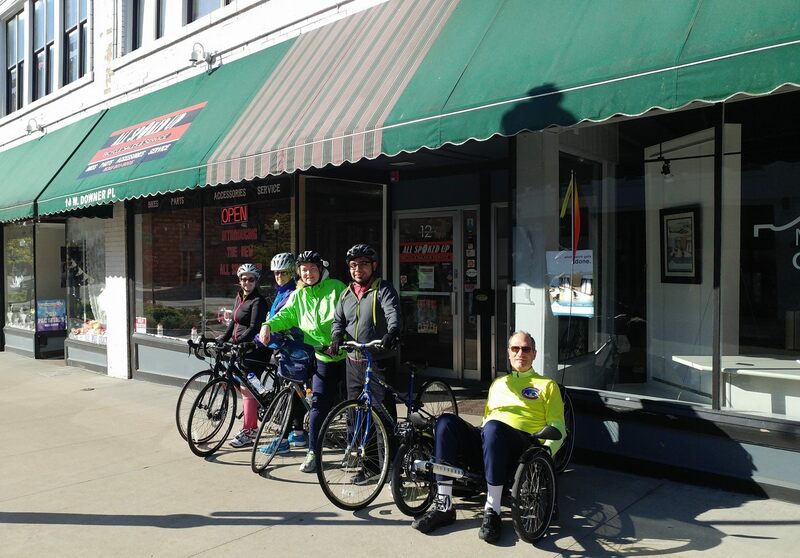 Aurora was named a Bicycle Friendly City by the League of American Bicyclists, joining only 15 other cities in the State of Illinois. Thanks to its protected bike lane and active promotion of cycling, Aurora is a great place for a cycling getaway.